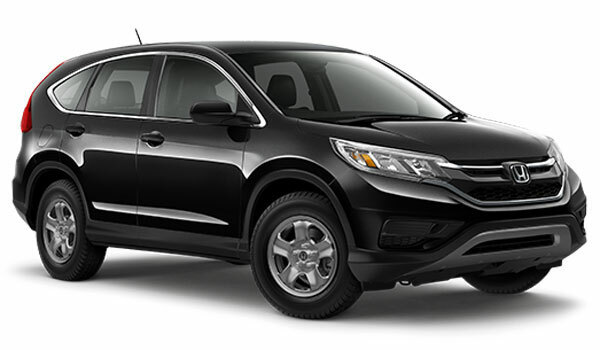 The 2016 Honda CR-V offers more power, superior space, and vastly advanced features compared to the 2016 Hyundai Tucson — few Goshen and Monroe drivers take long to choose between them. The CR-V, after all, has been refined year-on-year to expertly meet your needs. You’d be hard-pressed to identify a crossover with a powertrain that’s able to rival that of the 2016 Honda CR-V. It combines a 2.4L i-VTEC direct-injection four-cylinder engine able to create up to 185 hp and 181 lb-ft of torque with a top-of-the-line continuously variable transmission (CVT) that can deliver up to 26 mpg in the city and 33 mpg on the highway* with 2WD. 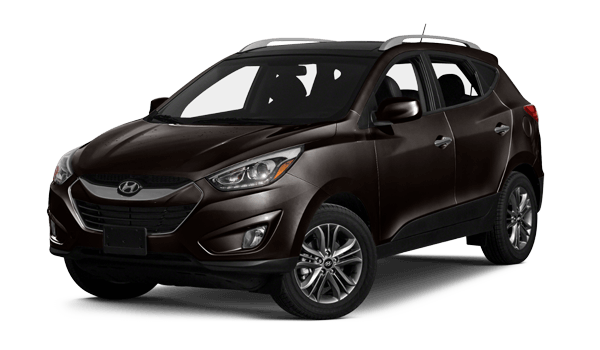 The 2016 Hyundai Tucson is outdated and underpowered in comparison. The standard engine makes a lackluster 164 hp and 151 lb-ft of torque, yet it achieves a modest 23 mpg in the city and 31 mpg on the highway while doing so. Even the 175-hp 1.6L engine isn’t able to match the output of what the CR-V adopts as standard. 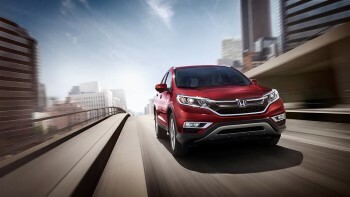 Passenger Volume: There’s up to 104.1 cubic feet of passenger volume in the CR-V vs. just 102.2 in the Tucson. Standard Cargo Space: You’ll find up to 35.2 cubic feet of space behind the rear seatbacks of the CR-V vs. just 31 in the Tucson. Extended Cargo Space: Fold down the rear seats of the CR-V to reveal up to 70.9 cubic feet of cargo space, with a flat load-floor making it easy to slide in larger pieces of cargo. The Tucson delivers just 61.6 cubic feet with the rear seats folded. Beyond the enhanced practicality and versatility that families enjoy thanks to the CR-V’s radically roomier cabin, the vehicle makes a number of steps forward to accommodate their needs. For example, the rear doors have been made larger to ensure easier entry and exit, and the lack of a protruding transmission tunnel eliminates the rise that used to make the center-rear seat uncomfortable. The 2016 Honda CR-V will treat Goshen and Monroe drivers to a few more standard features than they’ll receive from the entry-level models of the 2016 Hyundai Tucson, including a stereo anti-theft system and rear 60-40-split folding bench seats with manually adjustable headrests. You’ll also be able to take advantage of features that the Tucson can’t provide at any price. Multi-Angle Rearview Camera with Guidelines: Provides three viewing modes (Normal, Top-Down, and Wide) to give drivers a fuller view of the area behind their vehicle than the Tucson’s basic rearview camera. HondaLink Next Generation: This state-of-the-art piece of software provides an easy way for you to sync your smartphone to the CR-V’s systems. Both the 2016 Honda CR-V and the 2016 Hyundai Tucson managed to achieve a 5-star safety score from the NHTSA. ** Both the 2016 CR-V Touring and the 2016 Tucson have also received 2016 Top Safety Pick+ designation from the IIHS. The latter in particular marks them out as a cut above as far as safety is concerned; the IIHS recently upgraded the criteria for that award by requiring a top mark of “Good” in every crash-test category and either “Advanced” or “Superior” in terms of Frontal Crash Protection. Honda LaneWatch: A small camera mounted beneath the passenger-side mirror plays on the touchscreen, revealing close to four times more than the camera alone. Lane Keeping Assist System: Applies corrective steering to re-center your CR-V if you fail to react to the Lane Departure Warning system. Adaptive Cruise Control: Adjusts your cruising speed up and down according to your distance from the vehicle ahead. Even the most highly regarded crossovers fail to keep pace with the CR-V, so the 2016 Hyundai Tucson was never expected to truly compete. To experience the 2016 Honda CR-V for yourself, just pay a visit to the showroom here at Middletown Honda today. We’re not far from Goshen and Monroe, and we hope to see you soon! * 26 city/33 hwy/29 combined mpg rating for 2WD models. 25 city/31 highway/27 combined mpg rating for AWD models. Based on 2016 EPA mileage ratings. Use for comparison purposes only. Your mileage will vary depending on how you drive and maintain your vehicle. ** Government 5-Star Safety Ratings are part of the U.S. Department of Transportation’s New Car Assessment Program (www.safecar.gov).